Research of firearm and ammunition to it. – -detection of affiliation of objects to the parts (components) of firearm and other. • Is the object seized from a suspect a firearm (pneumatic weapon, gas gun or revolver, a domestically made device for shooting of cartridges stuffed with rubber or similar in its properties metal shells)? • How (industrial or homemade) was the seized from a suspect person object produced (weapon, cartridge)? • To what type, system, model, caliber does this weapon belong? • Is this weapon suitable for shooting? • Is this weapon in going order? If it isn`t, what kind of defects does it have? Do these defects exclude the possibility of a shot? • Is the seized, from a suspect cartridge, ammunition? • To the weapon of what type, system, model, caliber does the seized from a suspect cartridge assign? • To what cartridge (type, model) does the empty cartridge belong? – -detection of the circumstances related to the use of weapon or products structurally similar to it (the fact of shooting after the last cleaning and lubrication of the weapon, number of shots, the shot distance and direction, the relative position of the weapon and the obstacle, etc.) and other. • Was it possible for this weapon in certain circumstances to (for example, during falling on ground, floor) shoot without pressing the trigger? • Was the bullet (shot pellet, cartridge case) shot from this weapon? • Were these cartridge cases shot from the provided for the research weapon? • Were these bullets (cartridge cases) shot from the same weapon? • From what kind of weapon (type, system, model) was the bullet shot? • Were the provided bullet and cartridge case parts of one cartridge? • By what bullet (a buckshot, a case short) was the last shot from the smooth-bore gun(shotgun) made? • From the smooth-bore weapon of what caliber was the seized at the scene (from a corpse of a victim) bullet (a buckshot, a case shot, a wad) shot? • Did a firearm cause this damage? • By what caliber, type of a bullet (full jacketed or semi-jacketed bullet) was the damage caused? • What is the type of this damage- incoming or outgoing? • In what direction and from what distance was a shot, that has caused the damage on the object seized at the scene, made? • What was the position of the weapon against the victim (obstacle)? 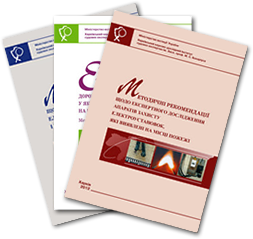 *Research of firearm damage on clothes, connected with the simultaneous causing of bodily injury to a person belongs to the competence of forensic examination. In some cases (when the distance, direction of a shot is determined, etc.) such issues are solved by complex forensic medical and forensic-ballistic examination. 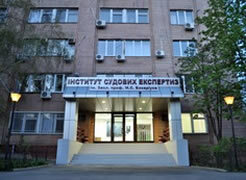 An office of forensic medical examination is to be pointed as the leading institution. – -determination of the type, form, pattern (for industrial products) of cold weapon or products structurally similar to it, etc. – Is this object a cold weapon? – If it is, to what type of cold weapon does it belong? – How was the seized from a suspect object produced? – To what kind of model does the provided bayonet (cutlass, saber) belong? – Is this object a half-finished cold weapon? 4.9. An expert, taking into account the content of issues, is provided: by weapon or products structurally similar to it, cartridges, shells, bullets, buckshot, wads attach that to the case as material evidences, comparative materials, objects with traces of the shot. 4.10. For solving issues about the circumstances of the shot (direction, distance, mutual position of the weapon and obstacle, etc.,) an expert is provided with the objects that have traces of the shot. Except the researched object, reports of investigative reviews, the reproduction of the scene and the circumstance of event, other investigative actions or extracts from them that contained information, which may be relevant for solving the issues, are sent to an expert. It is allowed to write this information in the document about commission of an examination (engaging an expert). If the body (a person) that (who) has commissioned an expertise ( has engaged an expert) has no opportunity to determine the date, about which the expert should be informed or to formulate questions, for getting relevant explanation (consultation), then a specialist with appropriate training is engaged. 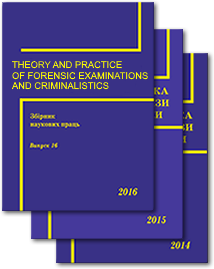 If forensic and other examinations connected with the this examination have been carried out for this case then an expert is provided with acts of these examinations, photos, X-ray pattern, schemes , etc. 4.11. Firearm small weapons, guns and revolvers for shooting of cartridges of "traumatic" action, pneumatic rifles, guns and revolvers, gas, signal guns and revolves, etc. that are sent for the examination, are to be discharged. If using the technics that are usually used, it is impossible to discharge then parts of the trigger mechanism is brought into position that prevents a random shot. Warning labels must be put on the package. For discharging grenade launchers, mortar, flame throwers, rocket weapons specialist with the appropriate training are to be engaged. 4.12. Material evidences are packed separately. They are to be protected from dirt, damage and mutual contact during transportation. Muzzle end is covered by clean, white cloth and is bound. 4.13. Weapon and ammunition to it are provided for examination by a body (a person) that (who) has commissioned an examination (has engaged an expert), personally or by their representative. Their mailing is not allowed.